A kennelful of tail-wagging treats for all you lucky dog-lovers. Write the most loveable letters. A true desk essential, this beautiful writing set lets you stay in touch with all your besties. Better still, it’s adorned with soft-as-velvet puppies who are bound to lift anybody’s mood. Perfect pups on writing paper: all you need to send wooftastic greetings. 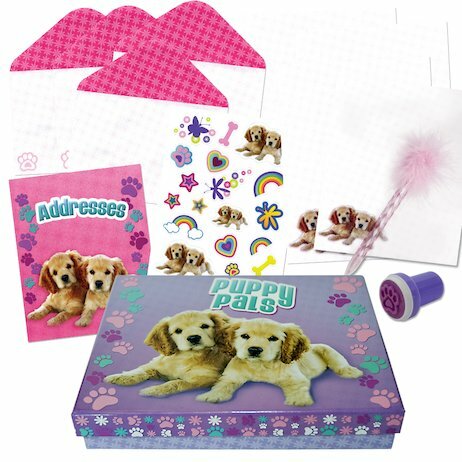 Box includes writing paper, envelopes, address book, fluffy pen, stamper and sticker sheet. My daughter loves it so much, I have to purchased another set. A cute box filled with even cuter things!